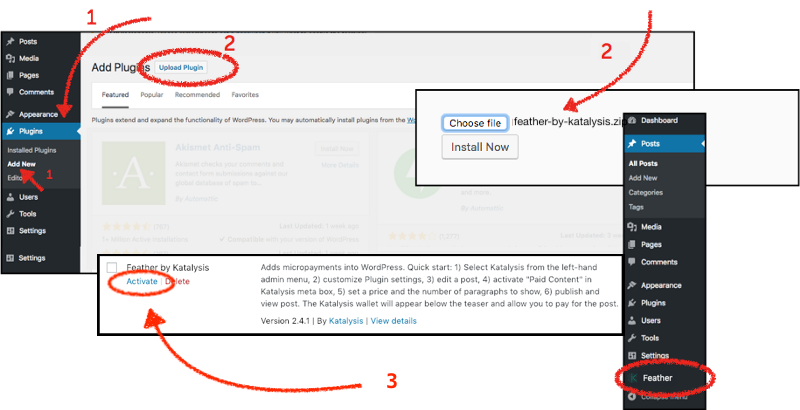 This is a quick guide on how to install Feather on your WordPress Website. We go over two flows: (A1) If you're new to Feather, and (A2) if you would like to update Feather. In your WordPress admin page, open “Plugins” in the bar on the left and click on “Add New”. Download the plugin here, upload the file and install. Press Activate, and now you can see the plugin “Feather” in the panel on the left-hand side. In your WordPress admin page, hover over “Dashboard” and click “Updates”. 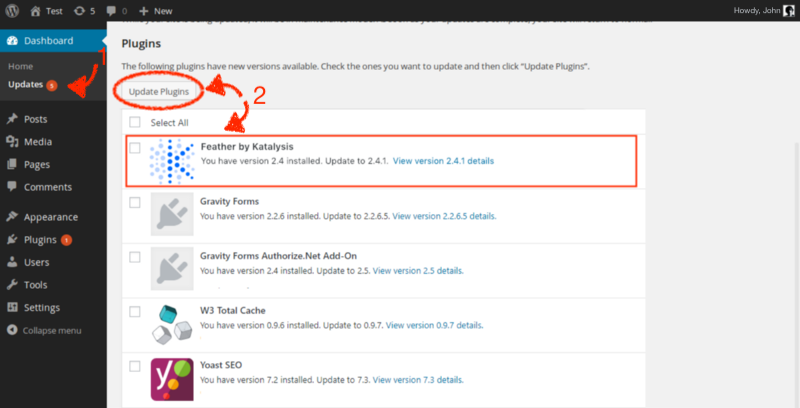 Select Feather by Katalysis under “Plugins” and then press Update Plugins.